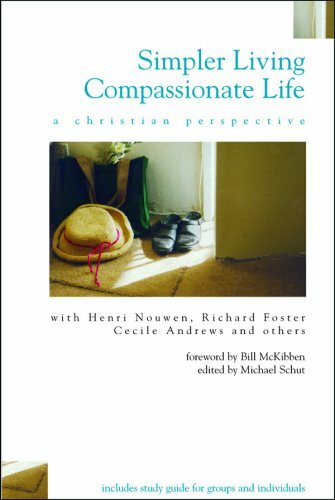 I recently finished reading the book Simpler Living, Compassionate Life: A Christian Perspective. It is a compilation of essays and book excerpts on simplicity and especially how it relates to the Christian life. From my perspective, there were definitely some pieces that were better than others and it was certainly not an easy read (some pretty deep stuff in there!). Refuse to be propagandized (cool word!) by the custodians of modern gadgetry. I find myself coming back to these couple of pages of the book again and again to remind myself of what it means to be a Christian and a member of the global community. It’s so easy to get caught up in all he frivolities of our culture and lose sight of what’s really important and how we ought to live our lives to make the world a better place. I hope they are helpful to you as well, whether you adhere to the Christian tradition, another faith, or no faith at all. I really enjoy your blog and your commitment to an important cause. I have just added a link to your blog from a new post. Have a great day.